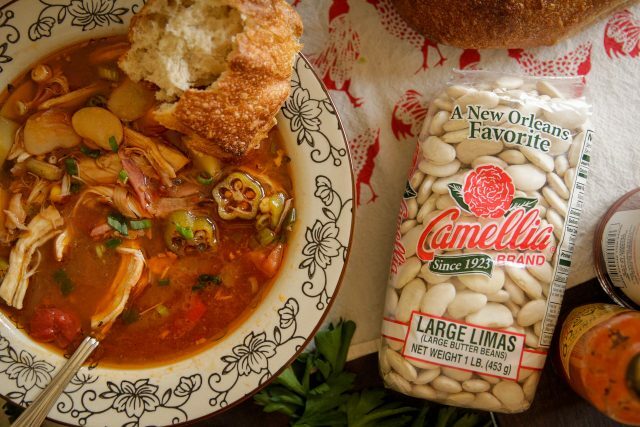 Lima beans, also lovingly known as butter beans, have been a Southern favorite for generations. James Beard Award-winning cookbook author Crescent Dragonwagon (yes, that is her real name) explores the lore of limas and shares some of her favorite ways to make them. We pronounce “lima” beans like this: “lime” with an “a” on the end. But if we were to call them not by custom but with historical accuracy, they’d be pronounced “LEEma” beans, as in Lima, the capital city of Peru. That is where these New World native beans came from. 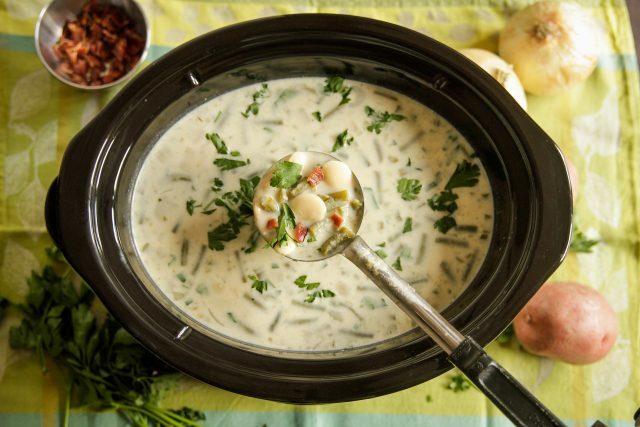 But these luscious legumes – creamy off-white, flattened ovals, a cupid’s bow dipping in where they were once attached to the pod – have made themselves at home all over the Americas, and especially so in the South. And why not? 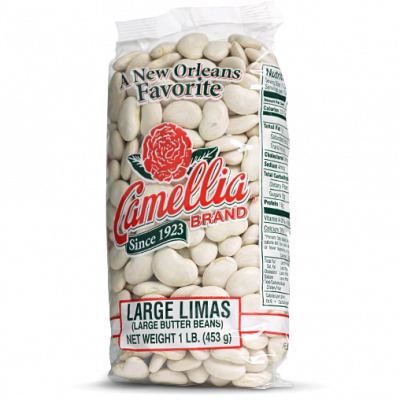 While the smaller version is adorably known as “butterbeans,” the larger limas are every bit as loveable, and, if prepared right, buttery, with their lush creamy goodness encased and embraced by a firmer, shape-holding skin. Here are a handful of my favorite ways to prepare this amiable bean. “Brunswick stew,” noted the humorist Roy Blount, Jr., “is what happens when small mammals carrying ears of corn fall into barbecue pits.” Well, not quite, but back in the day when all manner of small wild game, including squirrel and rabbit, made its way into this savory lima bean and corn stew, it might have been logical to make this supposition. This Brunswick Stew may be tamer – it calls for chicken and ham, not game – but it still has plenty of pizzazz. The vegetables (potatoes, onion and okra partner with the limas and corn) and chicken are cooked in a brothy, slightly smoky tomato-based sauce, and given a double kick with hot sauce and BBQ sauce. Both Brunswick, Georgia, and Brunswick County, in southern Virginia, claim the stew’s origins, but heck, given that one of the main ingredients came all the way from Peru, who really cares? I will say that my mother, who made this version periodically when I was growing up, was a Virginia native. From another part of the South, the Ozarks of Arkansas, comes another iteration of lima bean love. 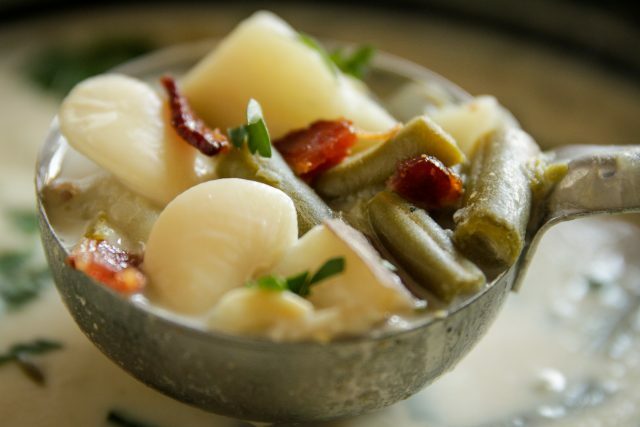 Ruth Eichor, born and raised in Eureka Springs, Arkansas, taught me the magic of this very simple preparation – a creamy, soulful soup combining limas, potatoes and green beans. Once again, bacon lends smokiness, but instead of tomato acidity, you have the unctuousness of dairy. Ruth always used evaporated milk, but if you feel inclined toward a richer soup, use half-and-half. And for convenience, you can turn this soup into an easy weeknight meal by making it in the slow cooker. All you’ll need to add alongside it is hot, crusty bread or cornbread and a fresh green salad. 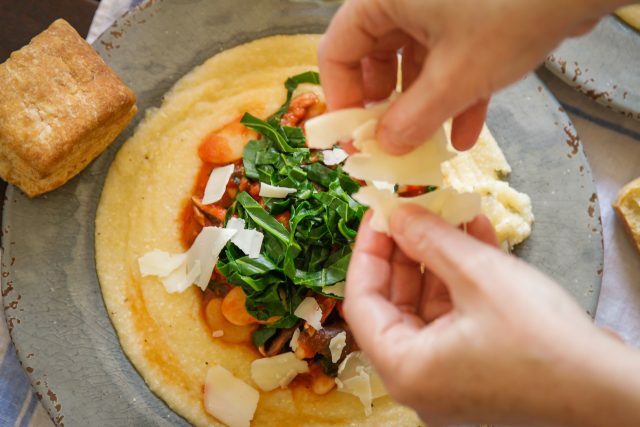 Here, over a welcoming bed of voluptuous, cheese-enriched grits, is a contemporary ragout combining some of the best-loved favorites of Southern cooking — grits, greens and butter beans. Shiitake mushrooms, sautéed with onion and garlic, meet up with plump, cooked-till-tender limas and a slightly boisterous tangle of blanched hearty greens, sauced with a bit of tomato. Top this with shaved Parmesan for serious goodness. A bit less down-home than the first two offerings, it’s a delectable vegetarian dish, both old-fashioned and up-to-the-minute, homey and beautiful all at the same time — worthy of a weekend brunch or even a light dinner. 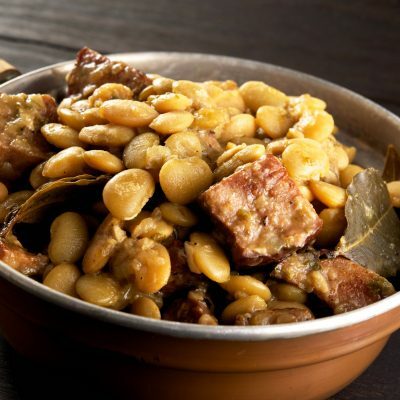 If you don’t have limas on hand, it can be easily made with blackeye peas or navy beans. Crescent Dragonwagon has sometimes been referred to as the “queen of bean cuisine.” The recipes noted above are featured in Bean by Bean, a cookbook from Workman Publishing that’s a cornucopia of more than 175 bean recipes – soups, salads, chilis, stews, casseroles, curries, hashes, side-dishes, mains, go-withs and desserts.